Deb's Cup of Tea: Will You Look at That! I finally got around to watching "Despicable Me" over the weekend. I've been tired when I get home from work lately. Collapsing into the recliner, having the BBC attach herself to my lap and then popping a movie into the DvD player is a perfect recipe for a sound nap that will interrupt the sleep schedule later in the evening. I decided this was a weekend afternoon event. Sunday afternoon it was. The movie is hilarious and I watched it twice and saw something new the second time. I found the DvD player's remote so I can finally watch the "extras" that come with these. I didn't read the movie box so it wasn't until I was watching the "extras" that I realized Steve Carrell had done the main character voice. "It's something between Dracula and a butchered Eastern European accent," he said. I certainly didn't recognize his voice and kept wondering which character he was. Now that I've see the first one, I need to see the second one which several people have said is better than the first one. When do I have the time to see it in the theatres? I don't know. I still haven't seen "Much Ado About Nothing". I wish I had more friends in the area who were available and interested in the occasional movie. One thing I noticed when I opened up the "Despicable Me" DvD box is a large recycling symbol. See that to the left? I had never seen that before. I pulled out the recent movies I've purchased and none of them have that symbol. This is fantastic! It means the whole container is recyclable. The movie poster is printed on paper and placed into a sleeve on the front and back. The top and bottom of the sleeve are sealed. If I would want to get rid of this, I can take a knife and slice the sleeve to remove and recycle the paper poster. Then, the sleeve could be removed leaving only the plastic container which is, ta da, completely recyclable. This could have been several laundry detergent bottles in a previous life. I'm behind in my knowledge of recycling but I'm wondering when this became available. "Brave" and "Wreck-It Ralph" are in hard plastic containers without the recycling symbol on the inside. 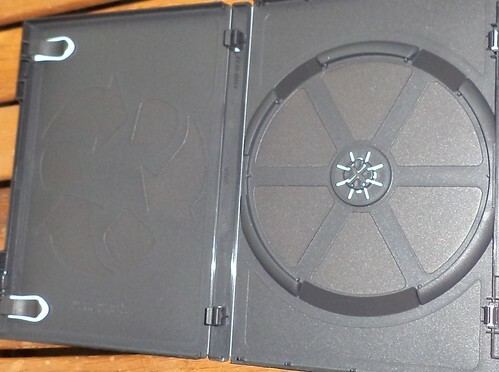 While this container is of a softer, more malleable plastic than the other two movies, it protects the DvD just fine. The only thing that is a problem is the actual DvD itself. There just aren't recycling programs for these. I have a huge stack of old games and programs that I'd love to get rid of. The cardboard or hard plastic containers are recyclable (Remember the old jewel cases? Many of those had the recycling symbol on them.) but the CD or DvD currently is not. One can only make so many Christmas wreaths. But, this is a step in the right direction. As more people experiment with the waste we generate, someone is bound to come up with something that reuses our refuse. This symbol made a great movie even better.